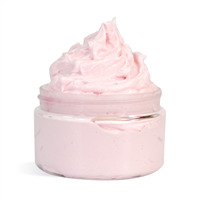 Notes of ripe wild berries and sweet Valencia orange mingle with pink mimosa and night blooming jasmine to give this skin-loving body butter it's scrumptious scent! Add Soy Butter Blend to a microwave-safe bowl and heat for 30 seconds. 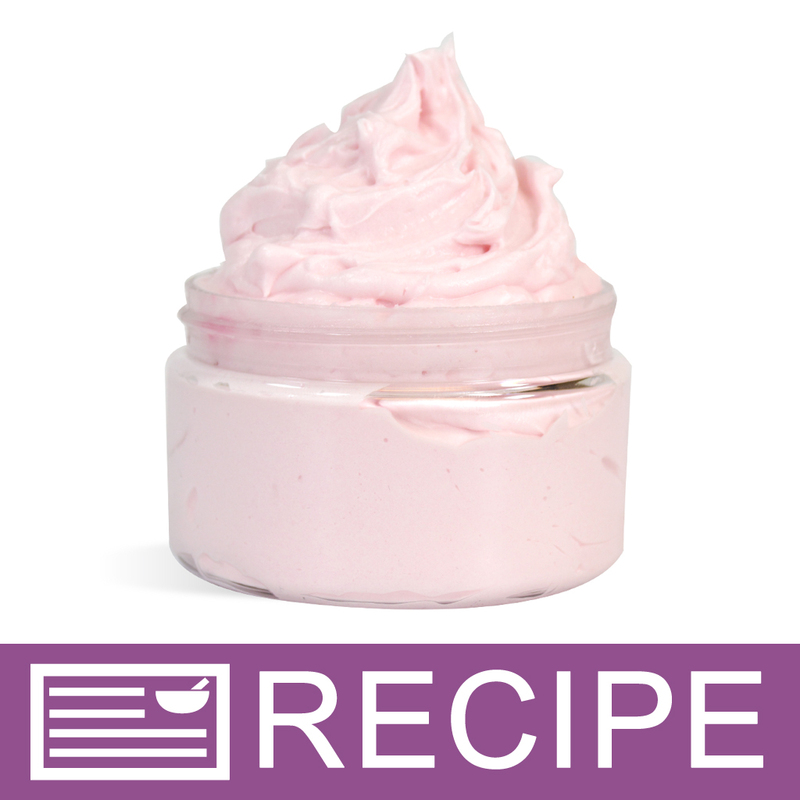 Using a hand mixer, mix butter for about 1 minute until it is a thick creamy consistency. Add Grape Seed Oil and Soybean Oil and continue to mix for another minute. Add Slick Fix and stir into mixture with a spatula. Add red mica powder, fragrance oil and Vitamin E. Fold into mixture with a spatula. 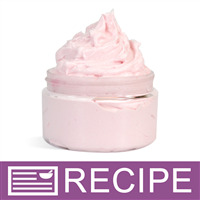 Mix with hand mixer for about 5 minutes until it is whipped and creamy. Fill each jar to 3.05 oz. and add lids. To Use: Apply to skiin as needed. Ingredient Label: Soy Butter Blend, Grape Seed Oil, Soybean Oil, Tapioca Starch, Vitamin E, Fragrance, Mica, Titanium Dioxide, Iron Oxide. "What can you use in place of the soy products in this recipe? I am allergic to soy. Thank you "
Staff Answer Any other butter blend would work well in this recipe. The blends are softer and would be the same consistency as the Soy Butter. "How much would you retail this for? specifically the 4oz jar"
Staff Answer Depending on the area you live in will dictate how much you can charge for an item. You alone are the best judge on how to price your product.